La Mirada head coach Mike Moschetti is either really impressed by Norwalk, or he’s the world’s greatest sandbagger. Moschetti wasn’t mincing words on Tuesday when describing Southeast Division No. 1-ranked team Norwalk (8-0), who the Matadores will play on Friday. Moschetti has quite a perspective on the history of the Suburban League. 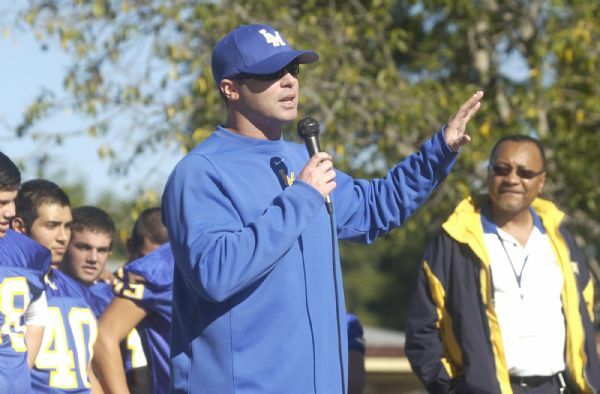 He was a standout quarterback at La Mirada and led the Matadores to a CIF championship his senior year in 1992. As a coach, he led the program to another CIF title in 2009. But La Mirada has been one of the area’s biggest disappointments this season following an aggressive campaign of program promotion that put a big target on the Matadores once play started. 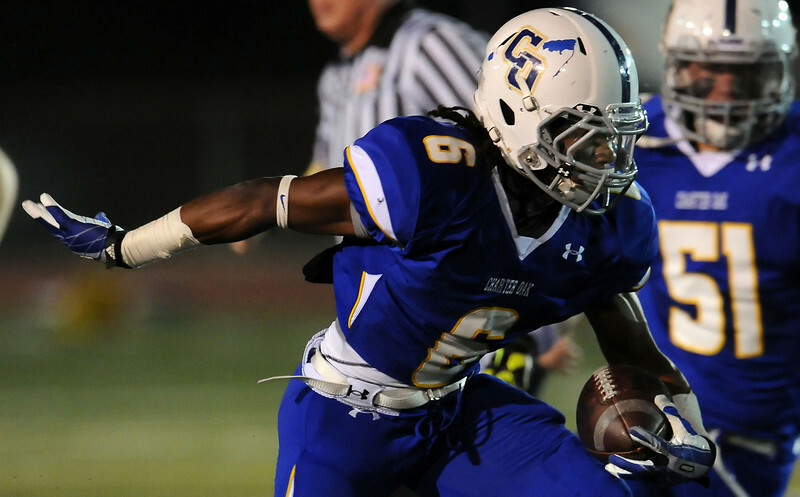 La Mirada has several top-notch recruits on the roster, led by Oklahoma-bound receiver Dalis Todd and super recruit Tyler Luatua, who is considered one of the best tight end prospects in the country. The bevy of blue chippers haven’t translated to a significant amount of wins, however. La Mirada enters Friday’s game at 3-5 overall and 3-1 in the Suburban League. Norwalk is the top-ranked team in the division beating league foes by an average of 54.3 points per game. Back in August, most area observers would have thought La Mirada would be the top-ranked team in the Southeast by this point of the season. Instead, the Matadores are fighting for their playoff lives and Moschetti isn’t too keen on discussing what’s gone wrong. “I don’t even want to talk about the past,” Moschetti said. “There’s going to be good things that happen in a season and bad things. What’s happened in the past is over, good or bad. Our goals are all still ahead of us. Part of that adversity came two weeks ago when highly touted quarterback Kevin Dillman, a junior with several early college offers, tore his achilles’ tendon and is gone for the season. Sophomore Noah Santillian will make his second start on Friday. Some teams have clearly gotten the memo: It’s Winning Time!!! 1. St. Francis (8-0) — Should be an interesting two weeks. 2. La Habra (7-1) — Like we said in Aug., they’re back. 3. D-Ranch (7-1) — Survived suspensions, now back to business. 4. La Serna (6-2) — Frankie Football has Lancers rolling again. 5. Bishop Amat (5-3) — Two weeks left to salvage season. 6. Charter Oak (4-4) — Scary good now on both sides of ball. 7. Chino Hills (6-2) — Got a scare from Ayala … for a half. 8. Glendora (6-2) — Etiwanda loss could prove very costly. 9. Monrovia (7-1) — Put up a 70-spot on La Canada. 10. Los Altos (7-1) — Usually 9-1 wins you your league. 11. Muir (7-1) — CV represents final Pacific test on Friday. 12. Arroyo (7-1) — So much for Mountain View providing a scare. 13. Diamond Bar (5-3) — Forfeit vs. Rowland looms very large. 14. San Dimas (4-4) — One more tuneup before Pomona showdown. 15. Pomona (8-0) — What suspensions? 16. Santa Fe (5-3) — El Rancho looks like huge test. 17. West Covina (5-4) — Getting right at right time. 18. Rio Hondo Prep (7-1) — All set for Pas Poly showdown. 19. San Marino (7-1) — Fast fwd to Week 10, please. 20. Bonita (5-3) — Hellacious schedule to close season. 21. Damien (4-4) — South Hills game for a playoff berth? 22. Whittier Chr. (5-3) — Maranatha game is for first place. 23. El Rancho (5-3) — Smelling upset against Santa Fe. 24. Northview (6-2) — Looks like BP game is for playoff spot. 25. Rosemead (7-1) — Can’t get caught looking ahead vs. Gabrielino. Two more local high school football teams have been rocked by suspensions stemming from a brawl they participated in last Friday night. On Wednesday, the Diamond Bar and Diamond Ranch football teams were handed down heavy suspensions by the CIF-Southern Section. On Thursday, Pomona and Wilson got theirs. Pomona had one player ejected from the game on-site by the officiating crew for fighting and/or assaultive behavior. After reviewing the film, another player was also considered ejected. Then, 13 players were considered ejected after CIF concluded via video of the game that they left the team’s bench area to participate. For Pomona, it’s a total tally of 15 players who will be suspended for one game, which is Friday’s Valle Vista League showdown against Baldwin Park. The Red Devils are 7-0 and bidding for the Valle Vista League championship. Baldwin Park is 6-1 and also has league title and playoff aspirations. Wilson saw 20 players given one-game suspensions by the Southern Section, 17 of which were determined to have left the bench area to participate in the melee. There is now concern that the Wildcats won’t be able to field a team to compete in Saturday’s game against Northview. If Wilson can’t, they will be forced to forfeit. Wilson is currently 1-7. According to NFHS rules, any player who leaves the confines of his/her team’s bench area to participate in a brawl is subject to an automatic one-game suspension to be served during the team’s following game. Earlier this week, Pomona took unilateral action by suspending 12 players. But once CIF got involved in the incident and conducted its own investigation using reports from both schools, video footage of the game and interviews from game officials, the number of Red Devils penalized went way up. “We studied the tape and reviewed it probably 20 or 30 times,” Pomona principal Roger Fasting said on Tuesday. “Any student-athlete who entered the playing field and was not part of the play is being suspended for a game. The punishments have been handed out and it’s not pretty for the Diamond Bar and Diamond Ranch high school football teams. Diamond Bar has forfeited its next game on Nov. 1 against Rowland following substantial player suspensions. According to a release put out by the Southern Section, Diamond Bar had all but one player who was on the sideline at the time of the altercation leave the confines of the bench or team area. Those players are considered ejected. FOUR players ejected on-site by the officiating crew. THREE players ejected from the contest on-site by the officiating crew. Following review of game footage, an additional FIVE players ejected following for fighting and/or assaultive behavior. ELEVEN players ejected for leaving the bench. Diamond Ranch, which is 6-1 and in first place in the Hacienda League, plays Rowland on Friday. Diamond Bar is 5-3 and has a bye this week. Forfeiting its Nov. 1 game against Rowland could cost the Brahmas a chance at the Southeast Division playoffs. Diamond Bar is currently in a five-way battle for second and third place in the Hacienda League. Both spots come with automatic playoff berths. The brawl occurred with just over three minutes to play in the fourth quarter of last week’s game. Officials decided to halt the game and make it official with Diamond Ranch leading 34-20. Both schools agreed to let the Southern Section office handle the penalties for the brawl after filing incident reports detailing their accounts of the fight. The Southern Section also used reports from the game officials as well as video of the fight during its investigation. Under NFHS rules, any player who leaves his team’s bench area to join in a fight faces a mandatory one-game suspension for the following game.